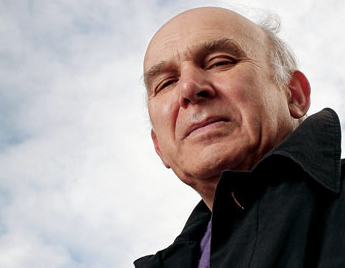 Vince Cable has enough enemies as it is, without adding Murdoch to the list, says Will Obeney. Greece is often thought of as one of the most beautiful countries in Europe. She has wonderful ancient ruins and landscapes, but it is what has been happening behind closed doors which is much, much uglier. The previous Government showed absolutely no fiscal restraint and spent like crazy. The banks lent money to every man and his dog (stop me if you’ve heard this before), and not just those in Turkey but also those in former Eastern-bloc countries who have quietly suffered from the recession too. The problems in Greece, which have been far worse than nearly all other Western countries, have led to huge debt problem. No one really cared about the nation until now, because the Euro is finally starting to suffer because of it. All economists could see the issue would not resolve itself, but instead of acting early Eurozone nations have decided to act too late. This unwieldy organisation is a good advertisement for sticking with the GBP. How will the problem be resolved then? On Thursday, Angela Merkel of Germany and Nicholas Sarkozy of France, who love to work together to make an impenetrable force in European politics, have drawn up a plan which totals €23 billion or £21 billion. It will involve help from all Eurozone members and the IMF. The deal has not been agreed to by other nations, but it looks like there will be little opposition. To me, this sounds very unfair; two big fishes in the Euro Sea scaring the minnows into paying up. That’s not democracy. When the Euro was agreed upon, there was an explicit spoken rule that no country would be saved if it had economic issues. The first challenge to this idea has managed to be successful and it shows a huge weakness of the Euro. One Euro-country can be handling their own economy perfectly but be put in jeopardy by the failures of another. For Britain, even with our current economic position, there is no need to risk joining the Euro. Let us stick with the Pound, a currency that we control – not the French or Germans. Nigel Farage has had an interesting week in the European Parliament. On Tuesday, he let out a torrent of insults at EU President Herman van Rompuy. (http://www.youtube.com/watch?v=bypLwI5AQvY) Despite a chorus of boos, he claimed the man had the ‘charisma of a damp rag and the appearance of a low-grade bank clerk’. Whilst this episode was reasonably funny, it tells you a lot about the man. Farage has a strong political message. He did not like the way in which van Rompuy was elected. This is wholly acceptable. What is unacceptable is the way in which he criticised it. Personal abuse is completely useless and degrading. This man seems to have no concept of how far he can go with his insults. On Question Time, he attempted to defend his antics with his usual spin, but never answered why he saw it as acceptable to be so personally insulting. In response to why he used the phrase ‘non-country’ to describe Belgium, he said: ‘oh yes I’ll reply to that… because that’s the one they’re getting the most upset about’ thus taking no blame whatsoever. I am sure that UKIP are quite happy that they no longer have him as leader. He started off his tenure in the job impressing the general public with his fresh and unusual practices and opposition to stuffy politics. Never does a series of Question Time go by without Farage joining the panel for a week. These have given him airtime to persuade people who have become disillusioned with main party politics. Slowly though, he has shown himself to be more than questionable. In 2008, he refused to take part in a standing ovation for Prince Charles in the EU Parliament. His antics on Question Time have become increasingly dislikeable, constantly talking over others and attacking audience members. His outburst in the European Parliament is merely one more reason why this man is completely incapable of running anything, especially a parliamentary constituency. On Tuesday, EU Parliamentary President Jerzy Burzek is expected to penalise Farage. 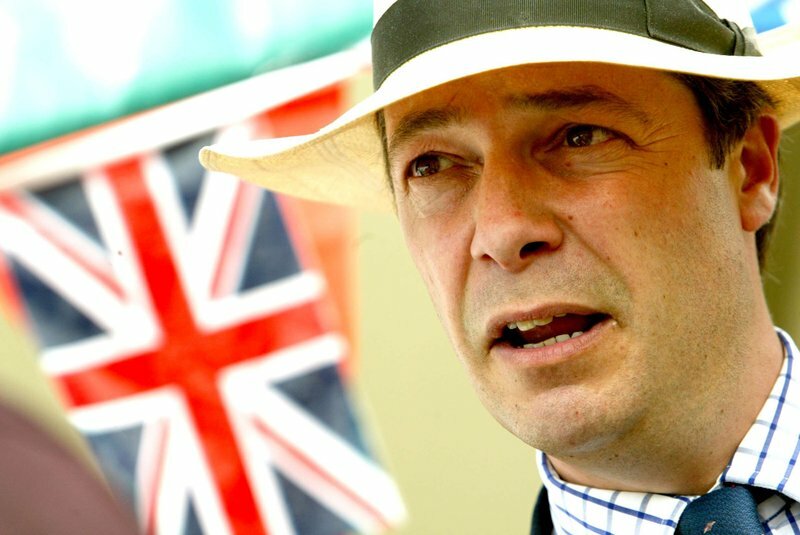 The UKIP MEP is planning on appearing in the dress of a naughty schoolboy. No one sees the funny side Nigel. You haven’t gained popularity out of this; you’ve just displayed your incapability to be anything more than the face of a political opinion. David Cameron has made it clear that he will attempt to fix ‘broken Britain’. 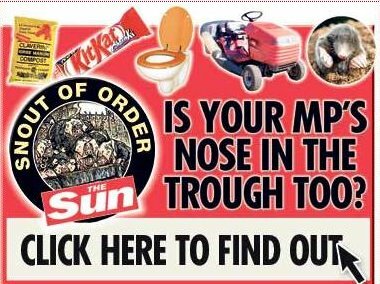 From my sphere, going to a Grammar School and living in London suburbia, I merely saw it as an idea conjured up by the tabloids, which use rare and isolated instances to back up their case. Now, I am not so certain. I have been told of a boy, who has become renowned in all areas of the local justice system. He is in the youth court almost weekly, for various offences including stealing, robbery, damage to public property and breaking into cars. He is eleven years old. Once, the police merely had to follow him out of court to witness him commit another crime! The ruffian’s latest case involved him breaking into an Audi worth over 30 thousand pounds, and driving it around for a few miles. When I was eleven, I was breaking into the biscuit tin, not luxury vehicles. With all these felonies under his name, you would think he ought to get a hefty punishment, but he is under the age of twelve, and so sentences amount to a few hours of Community Service at most. Rest assured that many who are familiar with him cannot wait until his birthday, passed which he can be sent to a ‘Youth Detention Centre’ more easily. At present, he resides in a care home. Not long ago he was still living with his mother, but it seems that this new dwelling is not much better at bringing him up. He is still being allowed out to commit crimes and often fails to appear at school. This begs the question, is Britain failing its children, or are the children failing Britain? It seems as though he isn’t helping himself, but the state should still keep its part of the deal: to do more to make sure he does not truant nor commit crimes. It is theoretically possible for the council to send him away to a youth crime rehab-type centre, but they are not keen on doing so as they can only send him away after going though the family courts, which is too much of a costly process. “But this is still an isolated case” I thought. It seems not, I have been told that the local Youth Court is barely coping with the rising number of young offenders. It certainly is a good argument for the idea of a ‘Broken Britain’. The Conservatives certainly seem keener on acting to ‘fix’ Britain’s new generation, but what will they actually do? From what I can see, they haven’t really got a full package of ideas, or at least have not presented them; still it’s better than what Labour are offering so far. In short, both parties need to think a bit harder about all this. The race for Number 10 has started. It seems as though we will know who has won by the morning of the 7th of May. Unless Bob Ainsworth’s ‘inadvertent’ slip was more carefully calculated than we think. The opinion polls suggest a large victory for the Conservatives, but will it be as easy for them to beat Labour as these numbers say? Despite the gap between the two parties being large it has closed somewhat since the Summer, with the Conservatives losing popularity directly to Labour. Barack Obama harnessed the internet like no one else ever had, and it proved very successful. In my opinion this suggests the web will prove important in the next few months, and Labour have got it well and truly cornered. A recent study by Tweetminster shows the Labour party and its associates (including MPs) have three times more Twitter followers than the Tories, 113 00 to their paltry 36 874. Don’t underestimate the power of social networking sites. Information can be swapped around faster than ever before and the short nature of ‘tweets’ mean they are easy to digest; links often accompany tweets, meaning the information is more easily accessible. They could also entice the younger generation out to the polls, whom would probably vote for whoever persuaded them to go out in the first place. I don’t think this will be a major factor in the election as it was in America, but every little helps and the Conservatives still require a huge swing in seats. Both the Conservatives and Liberal Democrats have been slow to take up this new form of speaking to the people, and they may rue it in the long term. How do we hold those Responsible for the Iraq War to Account? When Gordon Brown announced the Iraq Inquiry on 15 June 2009, it was met with suspicion. Especially so when he said it would be held in private, a decision subsequently reversed. Many were still not sold, yet I held out for answers. Now I realise that hope was forlorn. The inquiry covers the whole of the Iraq War, including the decision to go to war and the aftermath. It will be released over a year after starting. Surely it would be much more worthwhile to have small, separate inquiries that have a short time limit, forcing questions to be sharper and to the point. It would also be more fluid, which would improve the effectiveness of the questions. This way they would stick to the most important aspects that we can learn from or that need clarification. How can we expect any inquiry to get anywhere within the current conditions? The questioners are not forthright enough and the atmosphere is relaxed. It should, in fact, take place in a court-style arena, with lawyers asking the questions. Currently, the interviewers are people of the establishment who, though admittedly knowledgeable, are completely unversed in the art of questioning. What do you think? Will we see any successes from the Iraq Inquiry? Should the format be changed? Please, leave a comment. Brown Beats the Backbenchers… But for How Much Longer? Geoff Hoon and Patricia Hewitt have failed. Their scheme to oust Gordon Brown before the Election dissolved, and quickly. In the past, many MPs in the Labour party agreed that the Prime minister was a hindrance, the cause of poor results in by-elections and in Europe. So why was there no support for the secret ballot? I believe it shows not that most Labour MPs actually believe Gordon Brown is doing a good job, but that of all people he is the only one that could possibly win them the election. Were there to be a leadership change now, David Cameron and the media would be able to claim the Labour party were getting desperate. In addition, Gordon Brown is somewhat sympathised with currently, in part thanks to The Sun’s reports on his letter to Mrs Janes. He is also rather infallible, cleverly wording answers and rarely making any personal faux-pas. Another question Labour MPs may have been thinking is: Who would succeed? David Miliband seems to be priming himself for an assault on Gordon Brown’s No.10 as soon as it becomes available. In many peoples’ eyes, he is inexperienced and still has a lot to learn. Harriet Harman? Alistair Darling? The voters would not like them. The choice is not great. A final reason for the muted response: the Labour Party is stuck in a hole and they know it. Gordon Brown would make a fine scapegoat if they lose the election. I have little doubt that then his days are numbered.